Are you an English Debater? 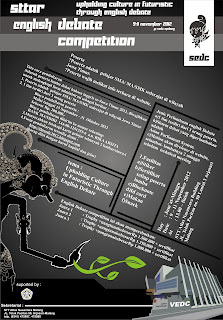 STT Atlas Nusantara will held a Debate Competition named STTAR English Debate Competition (SEDC 2012) on November 9th - November 11th. This is regional competition (East Java) and open for High School Debaters (SMA, SMK, MA) in East Java. 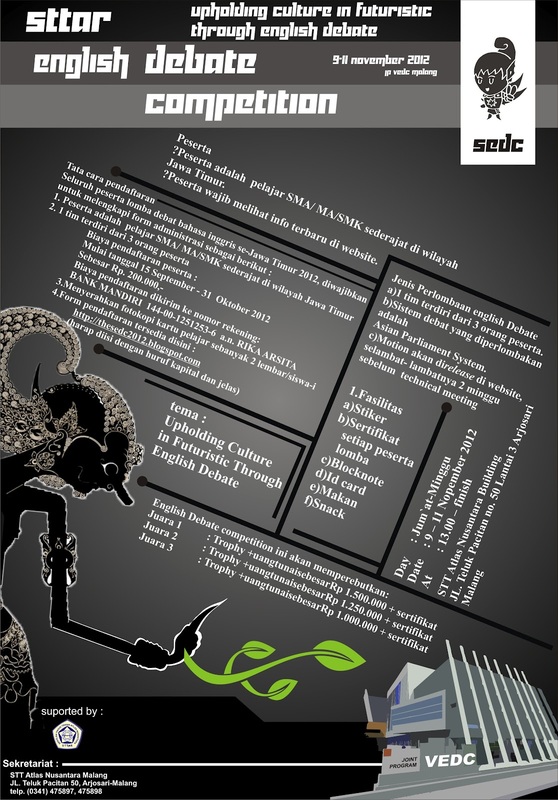 Registration fee is only IDR 200.000 and last registration date is October 31th 2012. Need help? Mention me on twitter @rainhanifa or call the Contact Person number on poster.